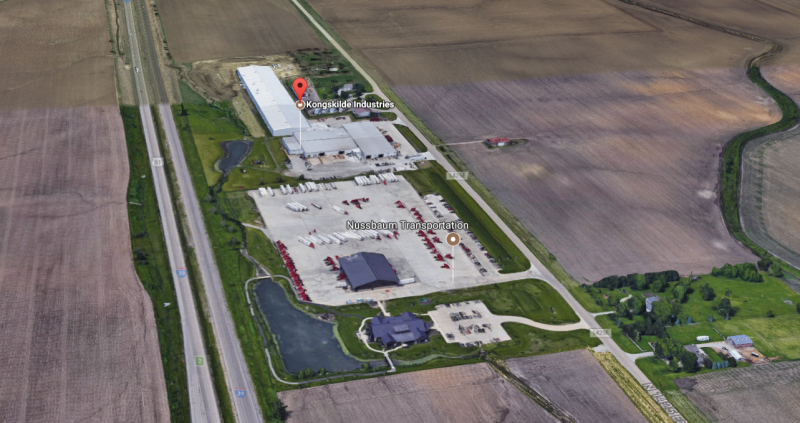 The site north of Nussbaum Trucking between Normal and Hudson Canada-based Brandt Industries is seeking to buy and expand. 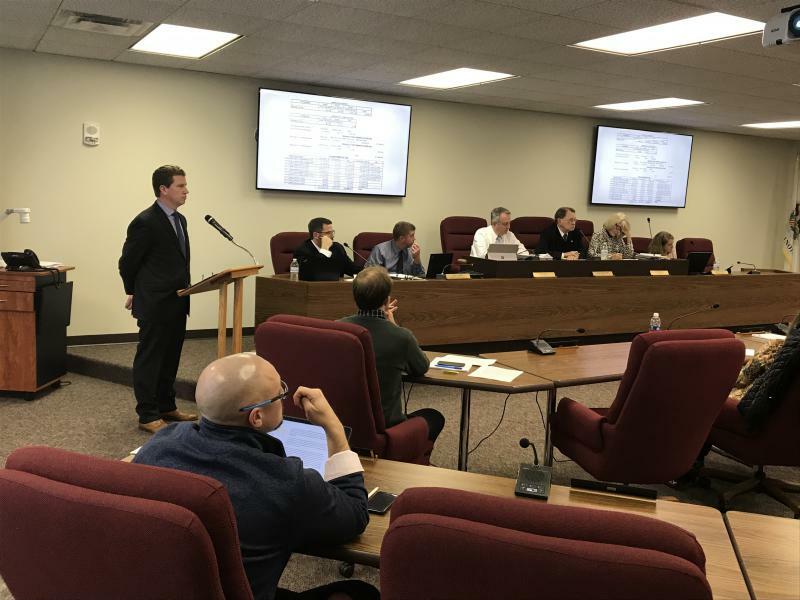 Numerous Unit 5 school board and McLean County Board members complained about short notice before they had to vote this week on a property-tax break to lure Brandt's 300 jobs to McLean County. The speed of requested action and the fact that there have been several such deals in the last few years, most notably tax breaks for investment and job creation at the Rivian auto plant in Normal, are also prompting consideration of a more regular process. County Board Chair John McIntyre said this is not the first time the idea has come up. "At one time there was a movement to coordinate between the governmental units in the community a standardization of the amount that would be abated and the formula. It was never approved. I don't know how many years ago that was," said McIntyre. McLean County Board Chairman John McIntyre at the 2017 State of McLean County event. Unit 5 Superintendent Mark Daniel also said with many areas competing for few projects, it would make sense to have an agreement over what incentives to offer for specific job creation targets and average salaries. "Who are you going to designate to be your negotiator? Is it going to be representatives from these taxing bodies, or should we hand it over to somebody to say this is what we are willing to do? We're going to tell you up front? I don't know the answer yet. But this needs to be discussed with my board, and also with these other entities," said Daniel. McIntyre said the idea is worth developing, but one potential problem is that different taxing bodies can offer different incentives, and different projects may be hard to compare and respond to in a standardized way. "The problem we have and the problem our municipalities have is they are home rule and have different ways and flexibility of doing their taxes and raising that. They can give more incentives than we could with a plant like this being out in an unincorporated area," said McIntyre. Other development officials said every project is different. And major stakeholders are different, making standardization difficult. Having a known template of incentives for jobs could allow other competing areas to bid higher. Also an obstacle to forming and gauging a sense of a complete deal is the way the players communicate, or don't. County and school officials said they know that the State of Illinois has approved EDGE tax credits for Brandt, but not how much. Those include a credit to the company for an amount based on the income taxes paid by workers. It's not possible to know that ahead of the creation of those jobs. Even short of that, Twin City leaders said the Illinois Department of Commerce and Economic Opportunity has not communicated with them about the shape of the deal Brandt struck with the state or the range of reimbursement in this particular EDGE tax credit. The resource group Good Jobs First noted on its website that some municipalities and states cap total incentives at $50,000 per job, depending on the quality of jobs created. 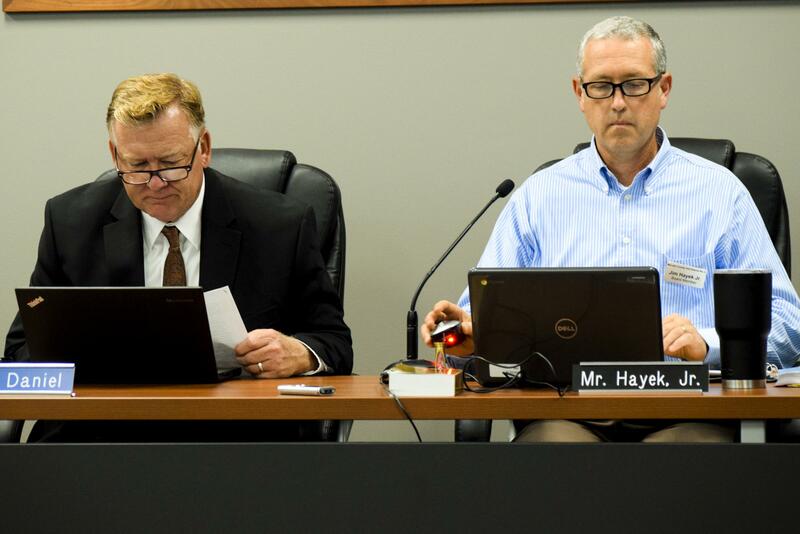 Unit 5 Superintendent Mark Daniel, left, with School Board President Jim Hayek during a recent meeting in Normal. There have been notable exceptions in cases where states have engaged in bidding wars to gain large numbers of jobs. Agreements to land an Apple facility in Iowa and the Foxconn plant in Wisconsin both included taxpayer-paid incentives estimated at millions of dollars per job. The known contributions by local taxing bodies to Brandt Industries work out to about $2,000 per job. The number could soar significantly higher if Brandt improves some of the parcels that are now vacant beyond the initial $21 million investment. The state contribution to the deal is not yet public. Supporters of the deal on the McLean County Board have argued the risk to taxpayers is low and the potential economic development reward high from Brandt expansion to McLean County, after the new investment comes back on the tax rolls. They noted Brandt only gets paid after the jobs and investment are in place. And they characterized the abatements as reasonable. State Rep. Dan Brady, R-Bloomington, said Thursday that he supports the agreement. 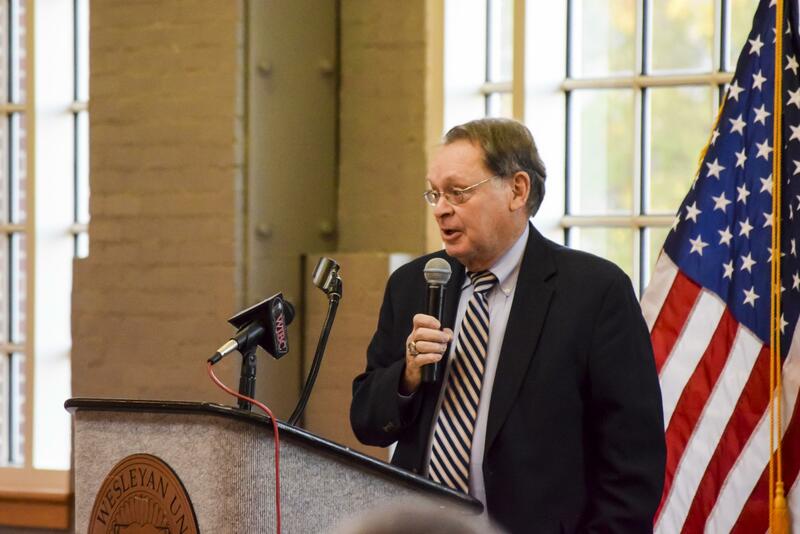 "I'm pleased and thankful that the majority of county board and school board members are focusing on the great long term benefits," Brady said in a statement. "I understand that this was a difficult vote by the boards, and I respect both the ‘yes’ and ‘no’ positions that members took. Let's move on and continue to work together on job creation. In my opinion, the long-term gain outweighs the short term pain." Several other taxing bodies, including Heartland Community College, have yet to formally consider the proposal. Right now, though, the only party that might know the entire shape of the deal and the potential public tax contribution to the company, is Brandt.